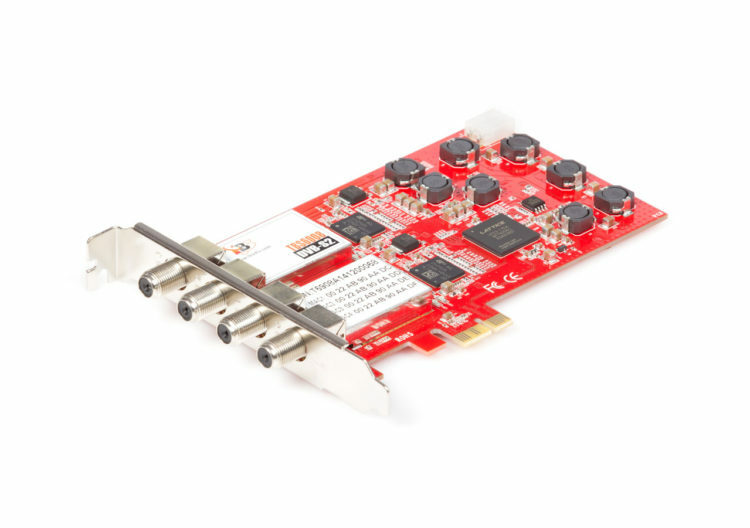 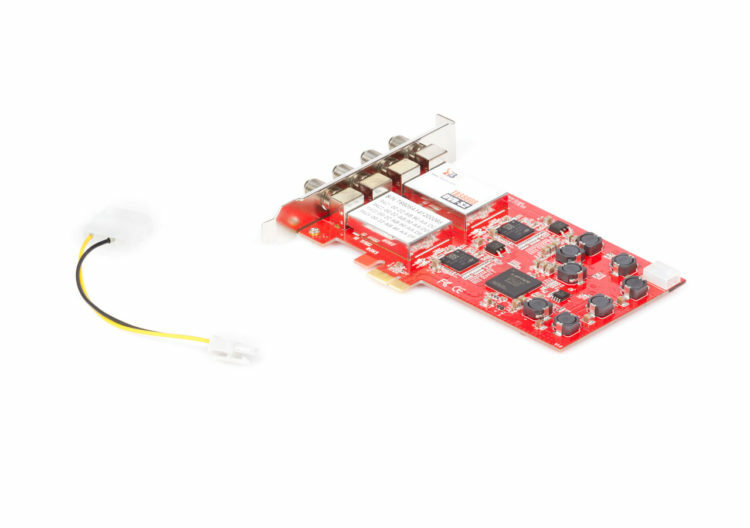 This Profi-Quad-Tuner TV card is suitible for the professional reception of digital satellite TV to all HD resolutions. 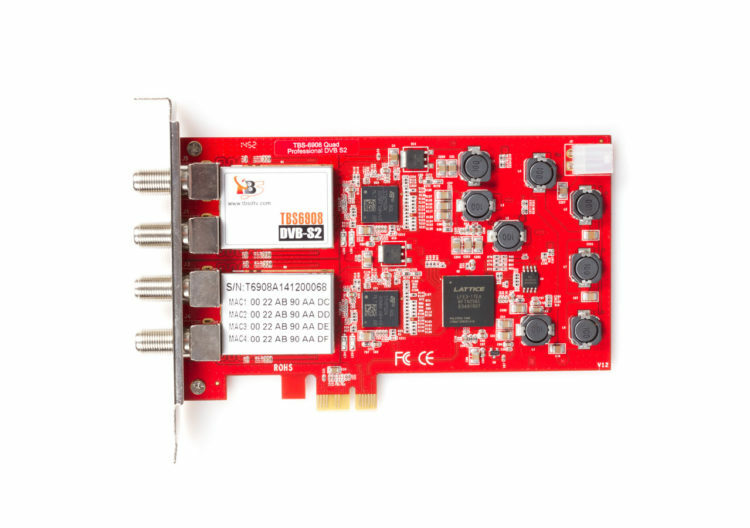 It has four DVB-S2 Tuner, so you can record or watch up to four channels simultaneously.It supports the following modulationprocesses: CCM, VCM, ACM, MIS and the Generic Stream Mode. You can easily record live TV immediately or time-controlled on your data carrier by only one click. 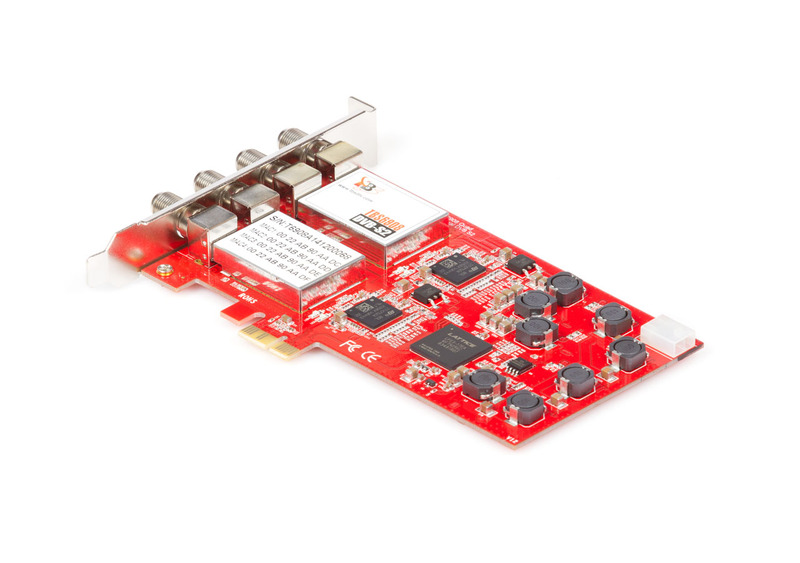 It possesses drivers for most 32-bit and 64-bit operating systems (Microsoft and Linux). 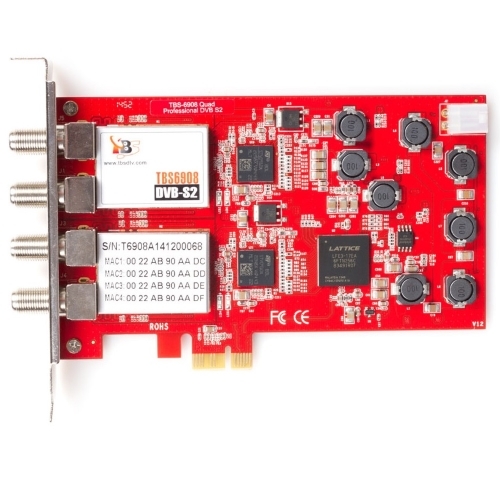 In addition to the excellent facilities and the modern PCIe (x1) Interface, was also taken into a low power consumption and thus a low waste heat, for silent operation. The built in hardware blindscan capabilitiy allows you to scan satellite programs without knowing exact transponder details, this is especially useful for hunting unknown satellite feeds.